Hey Parents! Here’s some information about Kindergarten Registration! For Tamworth students who will be 5 on or before September 30th, 2015, Kindergarten Registration will take place on Monday, May 4th and Tuesday May 5th at the K. A. Brett School. Please call the Brett School at (603) 323-7271 to make an appointment. Posted in Uncategorized	| Comments Off on Hey Parents! Here’s some information about Kindergarten Registration! Save the Date for our 2015 Golf Tournament! 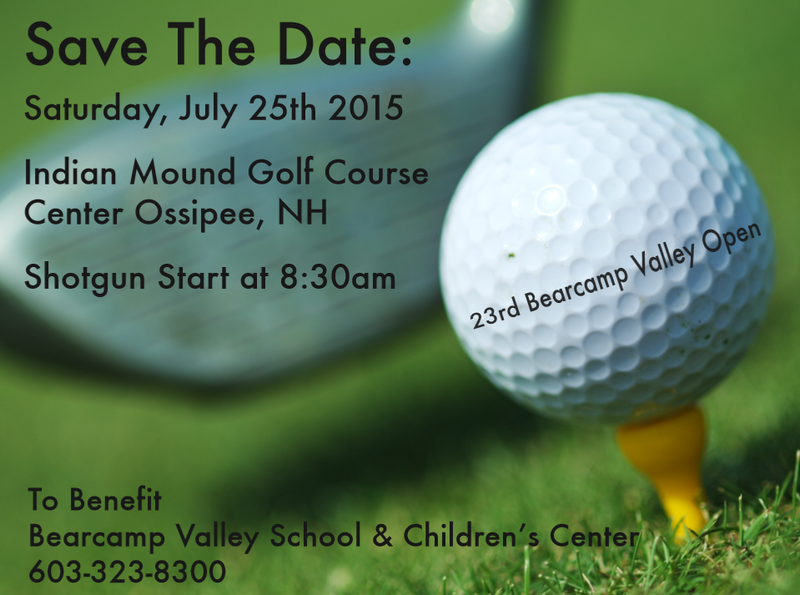 Join on us Saturday, July 25th, for our 23rd Annual Bearcamp Valley Open Golf Tournament! 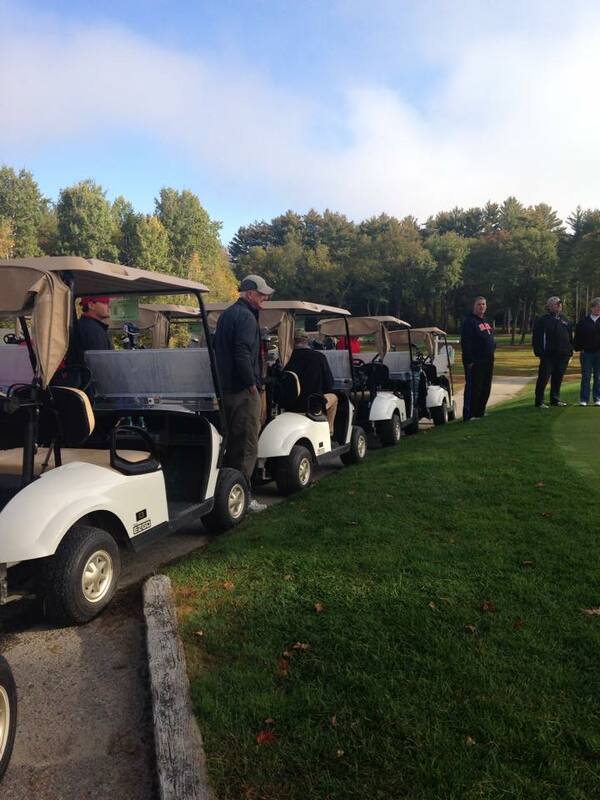 This years event will again be held at the Indian Mound Golf Course in Center Ossipee, New Hampshire. The event will include: 18 holes with cart, continental breakfast before play, luncheon after play, mulligans, raffles, silent auction, contests and awards. We are currently looking for businesses to again sponsor this years event. Gold Sponsor* : $500 – (1) Foursome Team, (2) Tee Signs, Billing on all advertising and signage at the event banquet. Silver Sponsor* : $250 – (2) Tee Signs, Billing on all advertising. Bronze Sponsor : $100 – (1) Tee Sign. *Must commit by May 1st, 2015. All proceeds of this event benefit the Children’s Scholarship Fund of the Bearcamp Valley School & Children’s Center. We hope for you to join us for a fun-filled day for a great cause! Posted in Uncategorized	| Comments Off on Save the Date for our 2015 Golf Tournament! We are looking for an After-School Program Teacher to join our staff! A part-time position providing after-school activities for our school age classroom (Ages 5-12) from 3:00 – 6:00 PM, with extending hours during school vacations & summer break. Applicants must meet the qualifications of an Associate Teacher under NH Child Care Licensing Rules. Minimum requirements: 18 yrs of age; HS Diploma or GED; 9 college credits in Early Childhood Education and/or experience in licensed child care, public/private elementary education. Experience with special needs preferred. Posted in Uncategorized	| Comments Off on We are hiring! Holiday greetings and warm wishes from the Bearcamp Valley Board and staff! I am pleased to provide this end of year update on the Bearcamp School and to thank you for your ongoing support in so many ways. This year was one marked by many successes and changes. Enrollment overall has slowly increased, especially in toddler and preschool classes. We now enroll preschoolers from 18 months to four years. We also have an increasing number of school-aged children in the before and after school program in which we operate from 6am-6pm to accommodate most working parents. While the school was meeting the new needs in the community, we did face a few challenges. Our esteemed director Catalina Kirsch resigned recently for family and health concerns. We appreciate all her efforts on our behalf and wish her well. Following Catalina’s departure, we have been grateful for our two director qualified teachers: one is assistant director, the other available for school age hours, vacations, and summer. I have returned as acting director for now until a permanent replacement is found. The other challenge is, of course, finding funding to keep our programs at the highest quality and our staff sufficiently compensated. We are able to pay only the teachers’ salaries from our fees. All other expenses (approximately $80,000) including heating, light, grounds, building maintenance and instructional material and equipment are supported through grants, donations and the town. United Way which generously provided funding for many years, has undergone reorganization and is no longer able to support us. Please see the attached letter. In addition to needing support for operations, we would love to be able to purchase a 20-passenger bus to transport summer program participants to the Tamworth Swim Program, The Remick Farm and Museum, and other nearby educational locations. We are applying for grants for this purpose but would certainly appreciate your help as well. During the summer, cooperation on a food and community project by a teacher and a board member, culminated in a dinner for 100 guests. It was hosted and by our 5-10 year olds who dressed appropriately as wait staff, took orders, and served food. It was a great learning experience for our students, and a lot of fun for everyone. Appetizers, salads and entrees were prepared in the school kitchen by our cook with assistance from students. Child development is a vital and tough job. The first five years of a child’s life is the most critical time, setting the course for what she or he becomes. We have more non-traditional homes with caregivers working. Children need the stability and nurturing that child care provides. And the child care industry simply cannot or does not want to pay for it. Some four-year colleges do not offer above an associate level in child care because students cannot earn enough to pay back their educational loans. Research shows that every dollar spent supporting quality childcare returns eight dollars in benefits to the community, including early identification of hearing problems and learning disabilities, family sustainability and a lower reliance on public assistance. As we look into 2015, we can rely on foundations and our community who value Bearcamp and who are ready and willing to help. We thank you for the support of our important work, and for your investment in the future and well-being of our local families.